WHY IS WOOD AN EXCELLENT CHOICE FOR OUTDOOR FURNITURE? ü Generally heat and electricity in very large amounts is required to produce other types of furniture materials, thus causing more worldwide pollution. Whereas wood production takes far less energy. CO2 emissions from steel production alone are three times greater than wood production. That’s a big deal in our book. ü Since wood is organic and natural, there are large quantities of forests found over one third of the earth’s surface. Because more trees are planted all the time it is renewable. Fortunately trees need only water, variable sunlight, some nutrients, oxygen and time in order to grow. 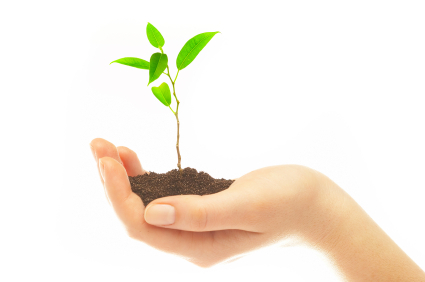 Approximately four million seedlings in the USA are planted every day! In Indonesia, for example, over one million acres are reforested annually. All the timber used in the making of our teak furniture is cultivated from plantations controlled by the governmental agency Perhutani State Forestry to ensure reforestation and the protection of rain forests vital to the world's ecosystem. Fossil fuels, like coal and oil, take millions of years to replace. Metals, cement, plastics and brick are not renewable. ü Since wood is organic, the living trees actually absorb carbon dioxide which in turn releases valuable oxygen. ü Natural wood is non-toxic and bio-degradable. It continually decomposes on its own and stays within the earth’s revolving cycle. ü Wood can be used many times over for all sorts of reasons. For example, our premium teak furniture can be someday recycled into other furniture shapes once no longer wanted. This can be done many times over and over again. ü AND, let's not forget that wood is just plain beautiful …… especially TEAK!